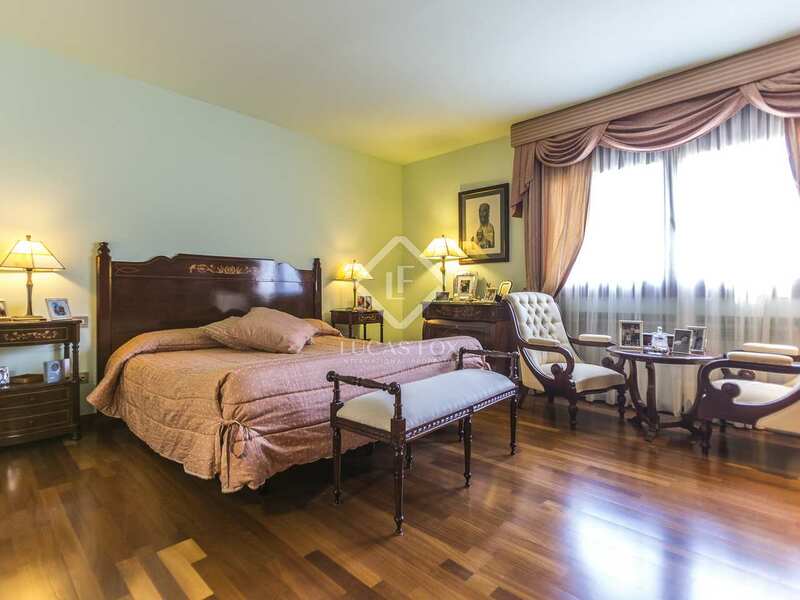 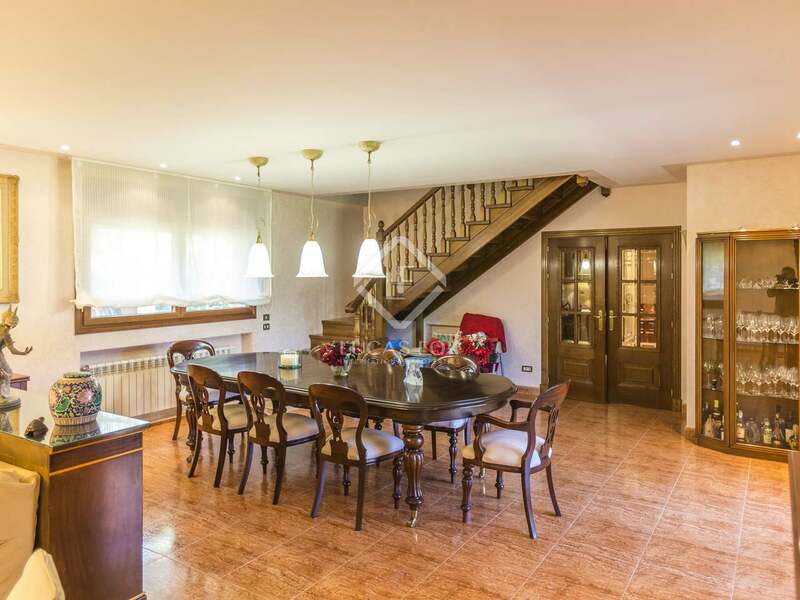 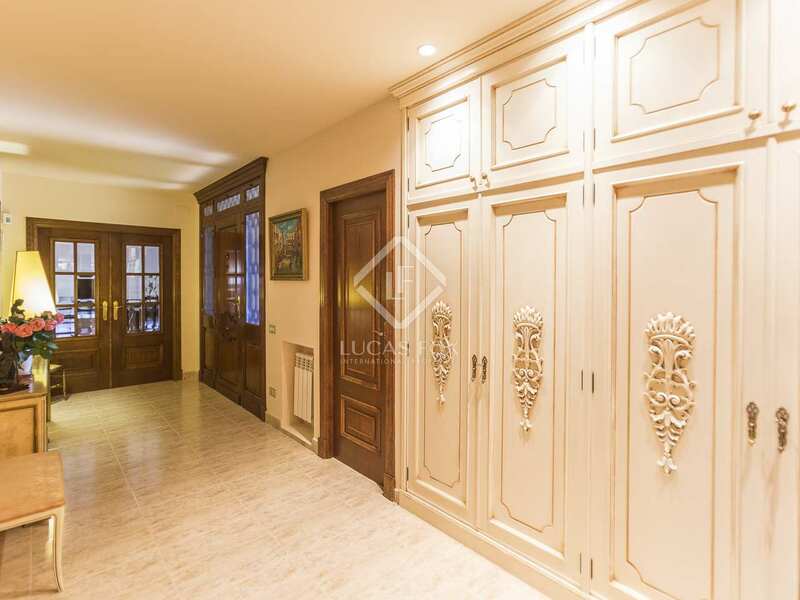 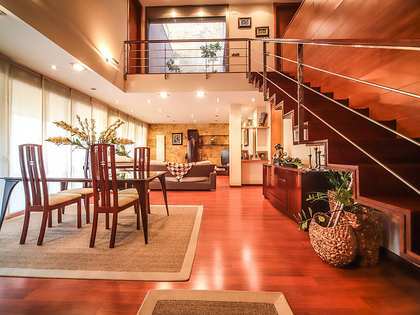 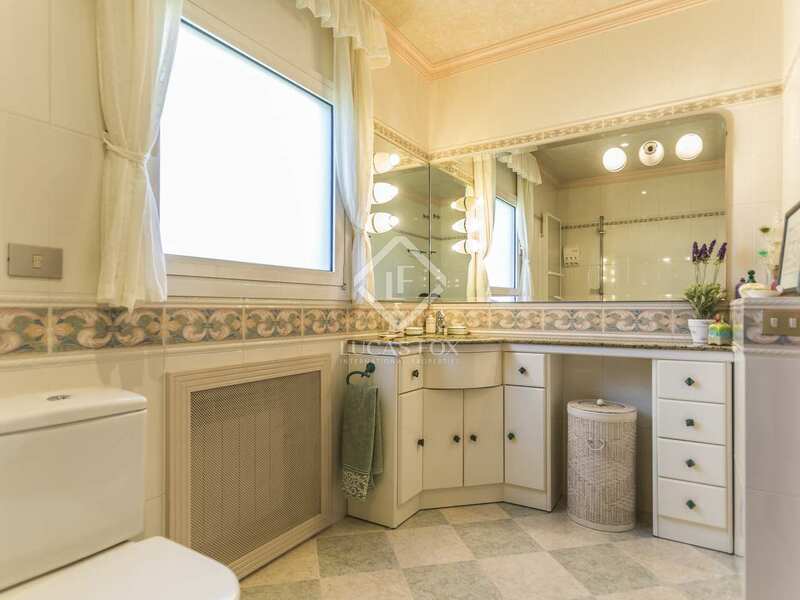 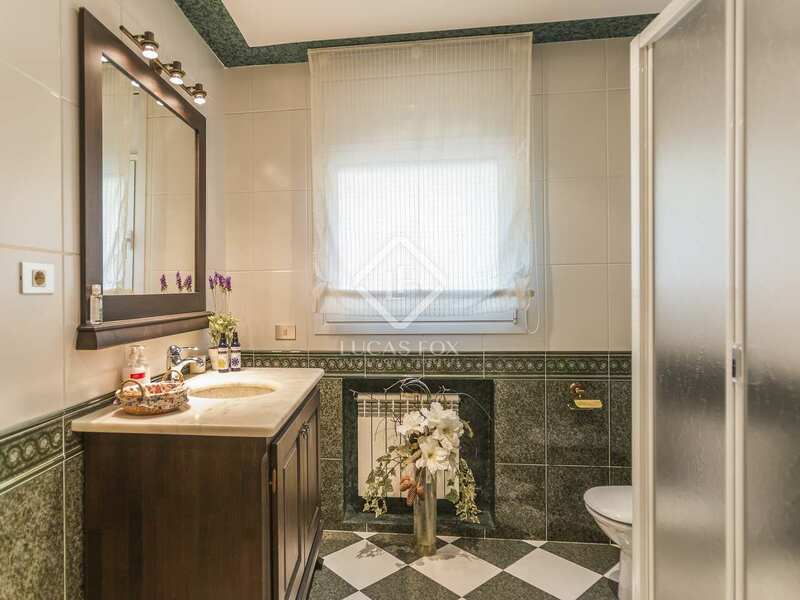 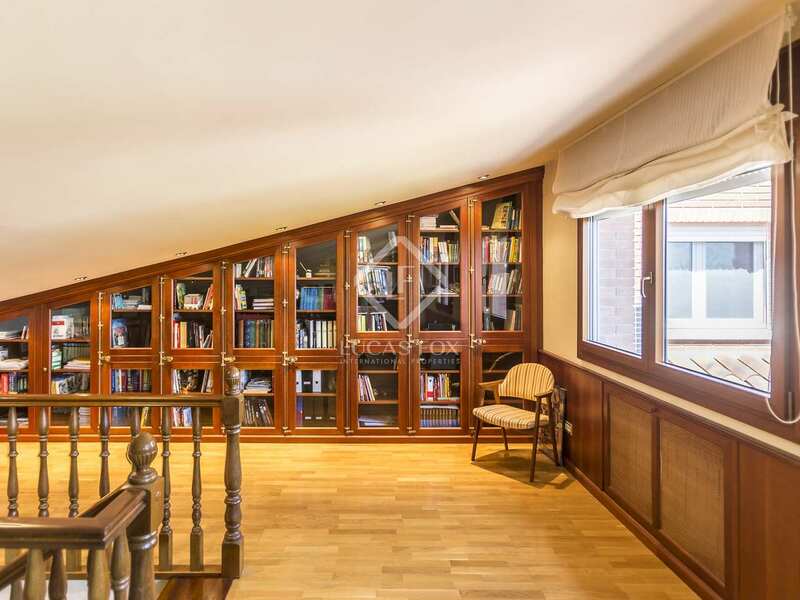 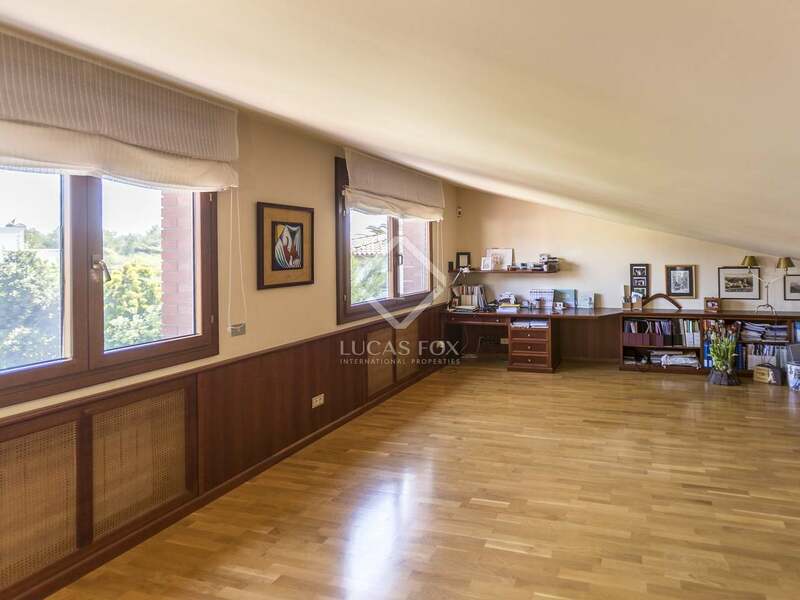 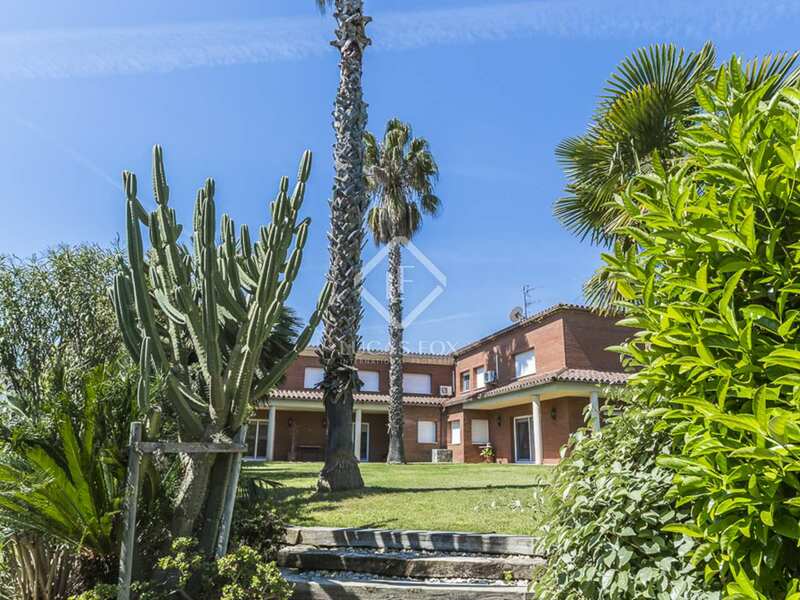 Built in 1994 with the best materials, this attractive 3-storey house is presented in excellent condition and enjoys views of the sea and hills from its generous plot in the prestigious Aragai-Tenis residential complex, close to the town centre. 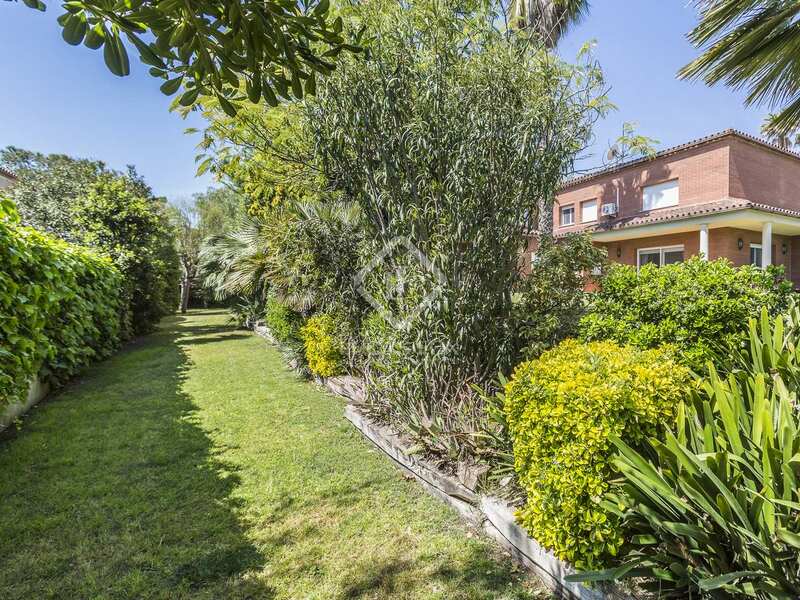 The property has a fabulous, flat garden with an impressive lawn and a swimming pool that is ideal for family living. 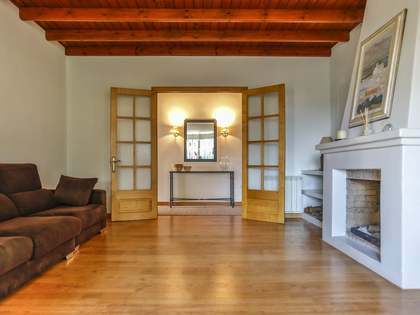 On the ground floor we find an entrance hall and a large living room – dining room which leads up to a cosy attic room with fantastic views. 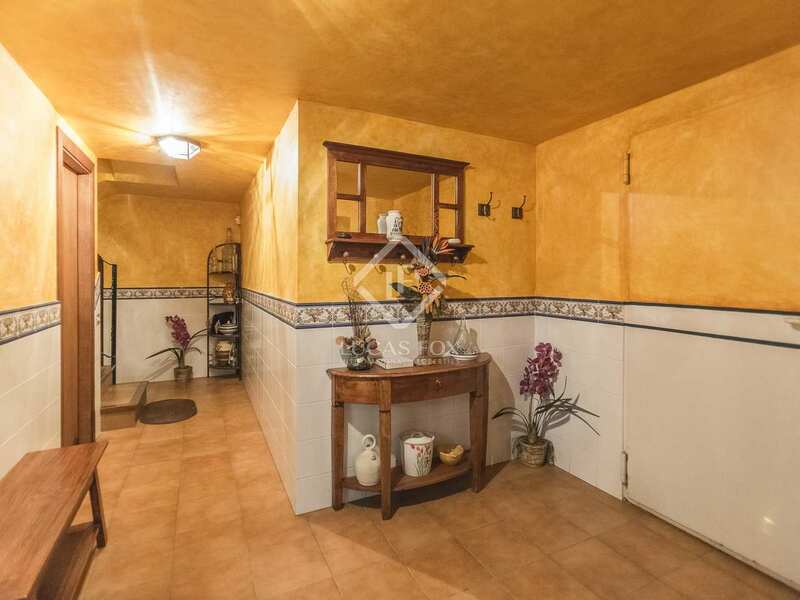 The kitchen, summer lounge, a pantry and a guest toilet are also on this floor, with the possibility of using the pantry to extend the kitchen if wished. 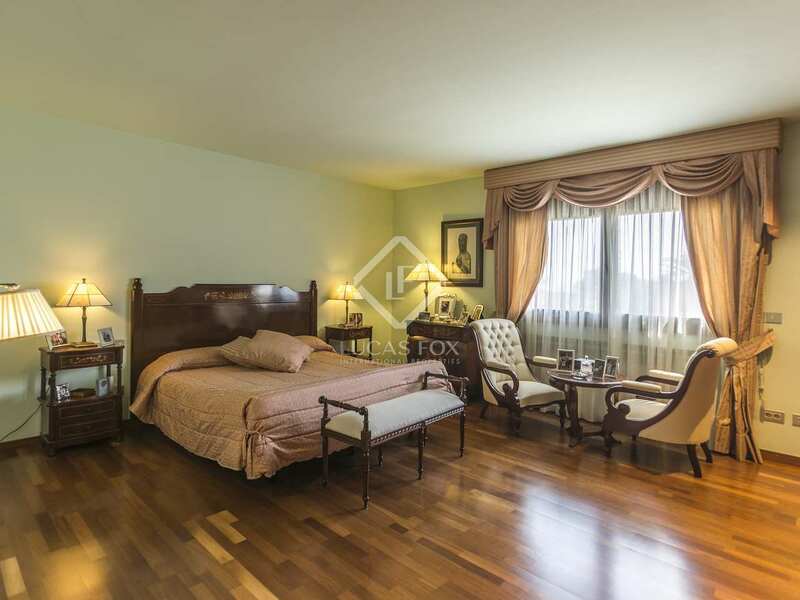 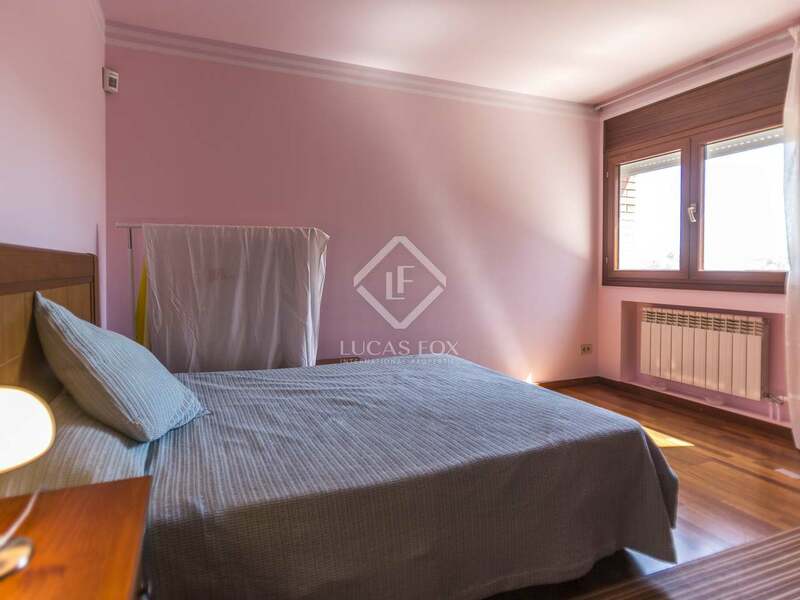 One of the five bedrooms with a bathroom is found on the ground floor while the other 4 are on the first floor. 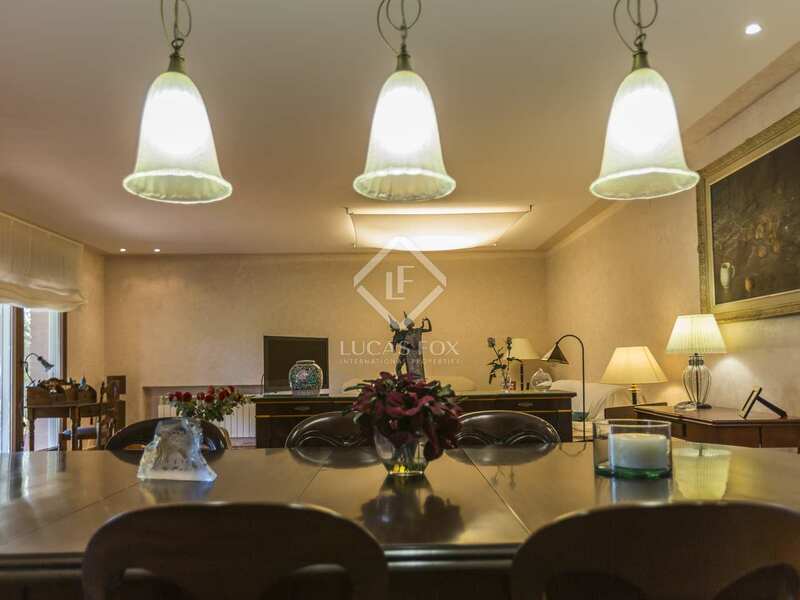 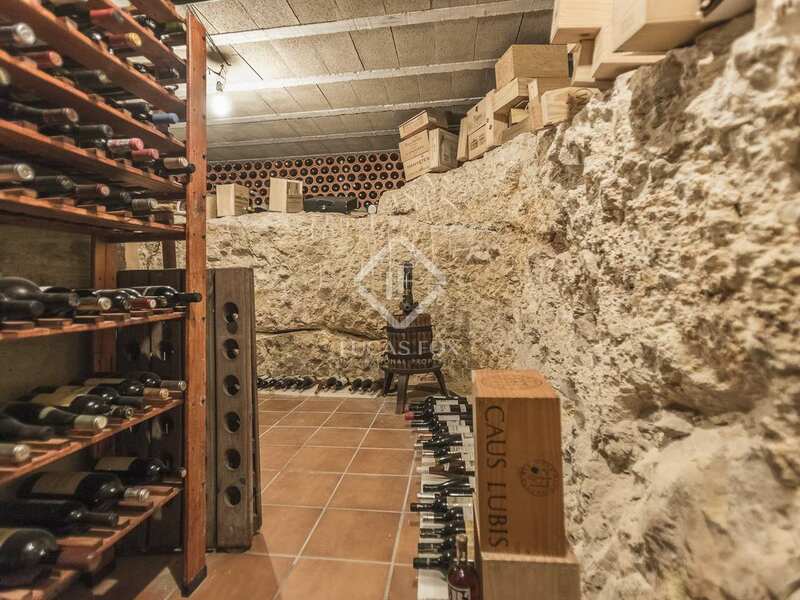 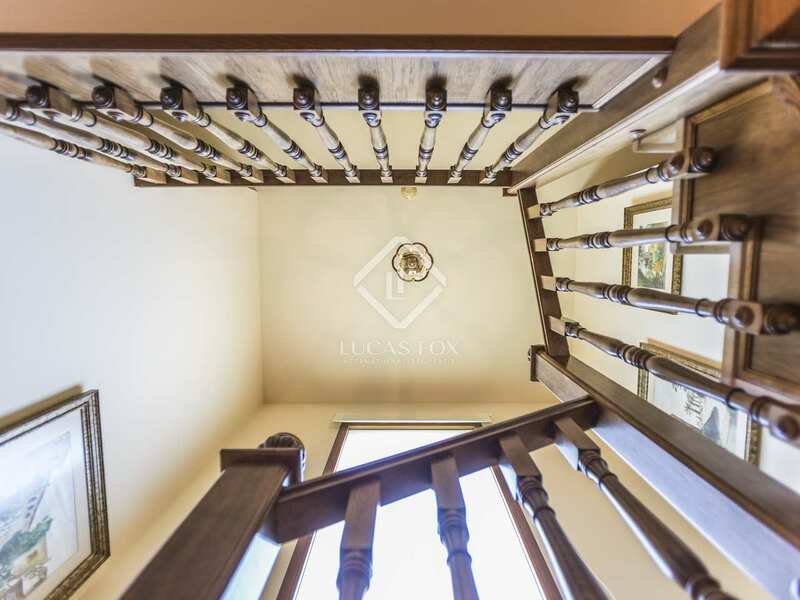 The lower ground floor accommodates the garage, maintenance rooms, a very large utility room and a great wine cellar with natural stone walls. 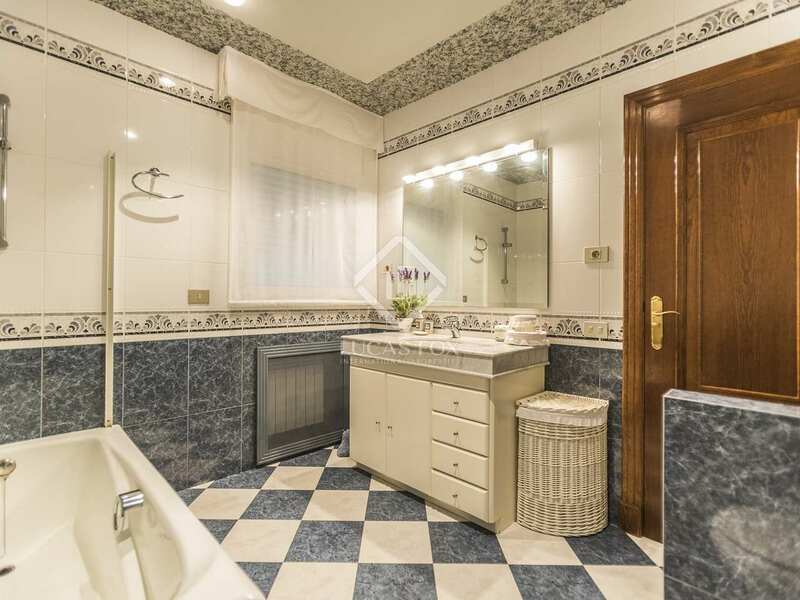 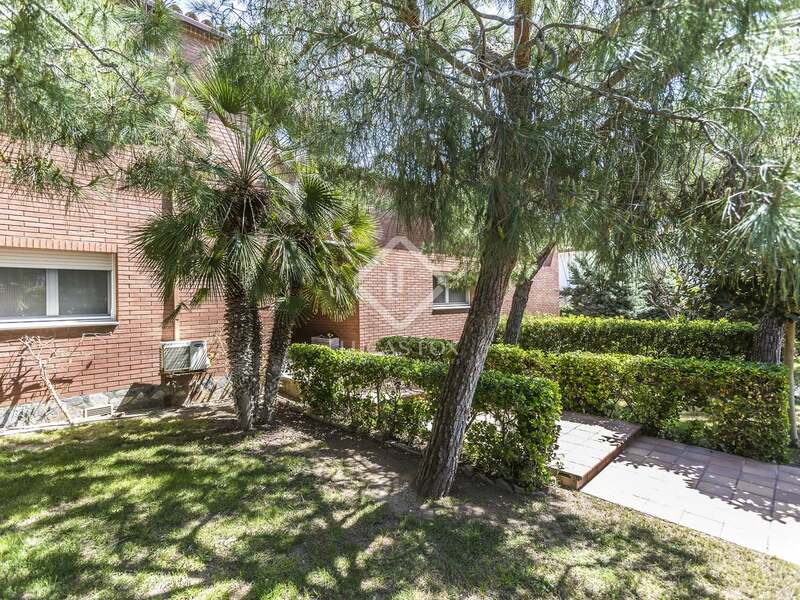 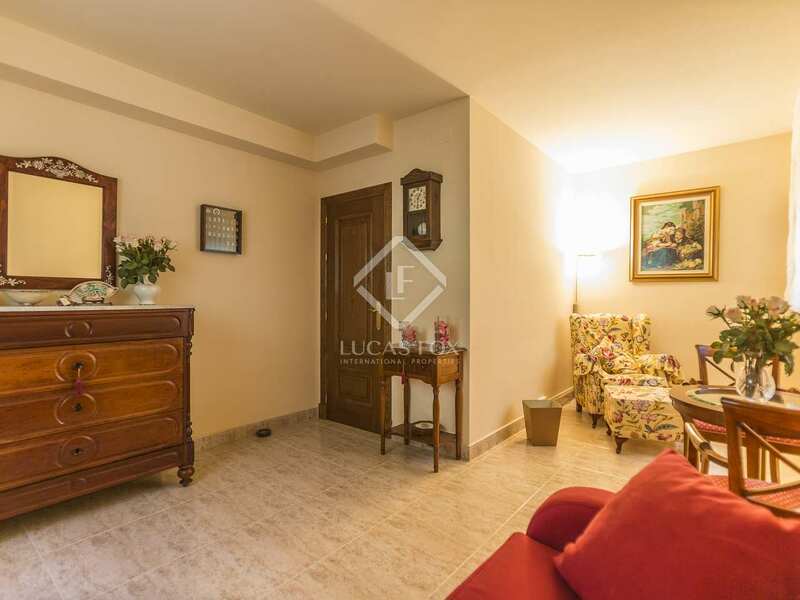 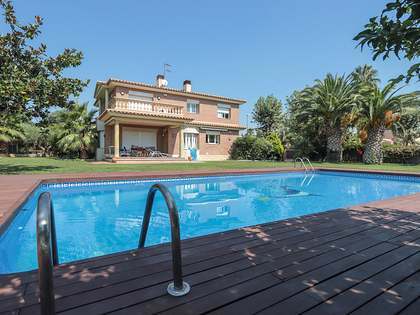 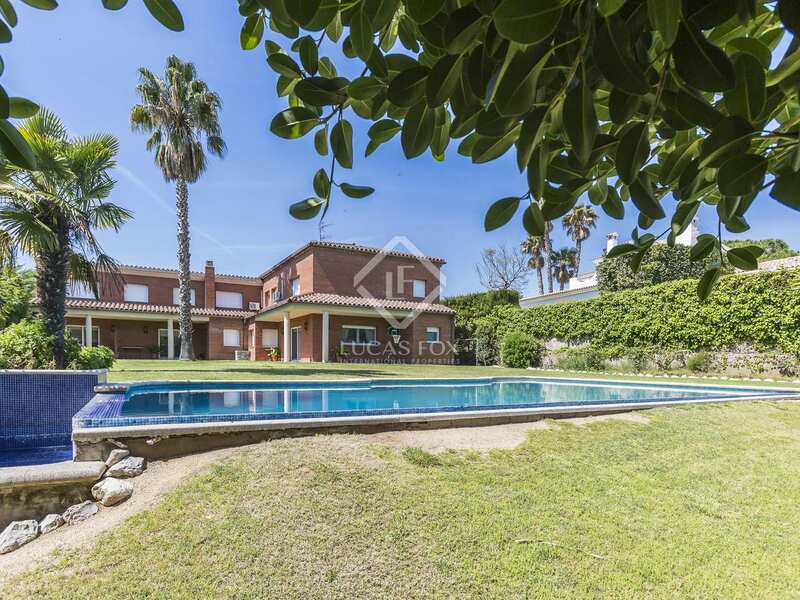 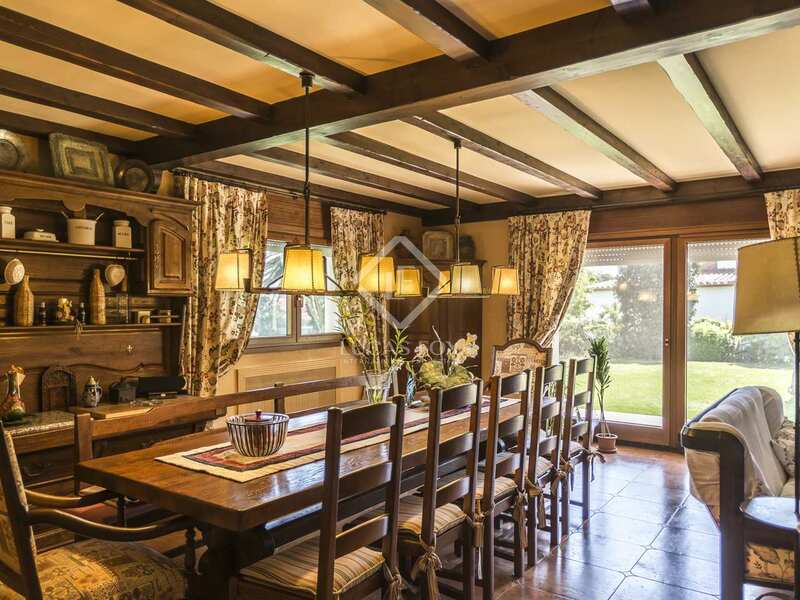 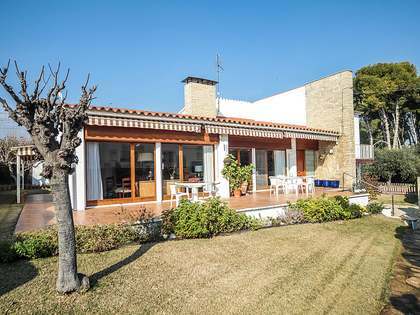 This is an excellent opportunity to acquire a sizeable family villa with a generous garden and pool in one of Vilanova's best residential complexes. 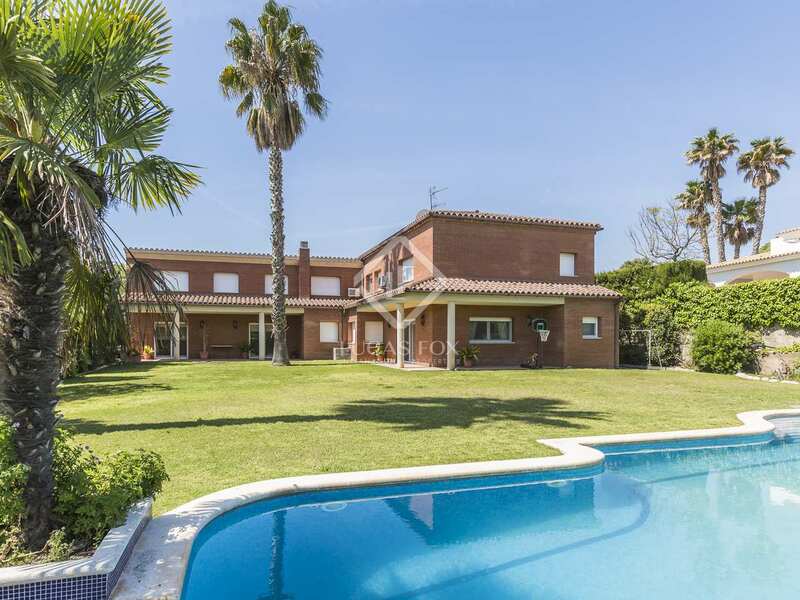 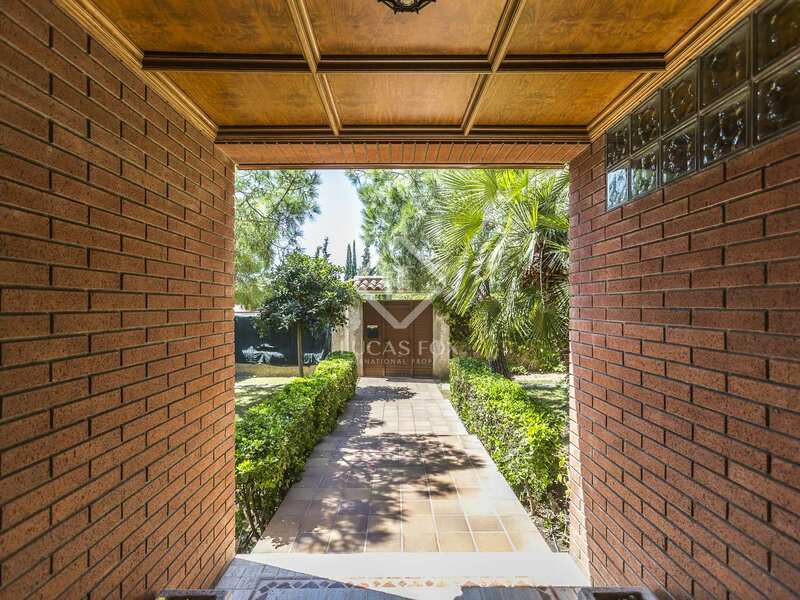 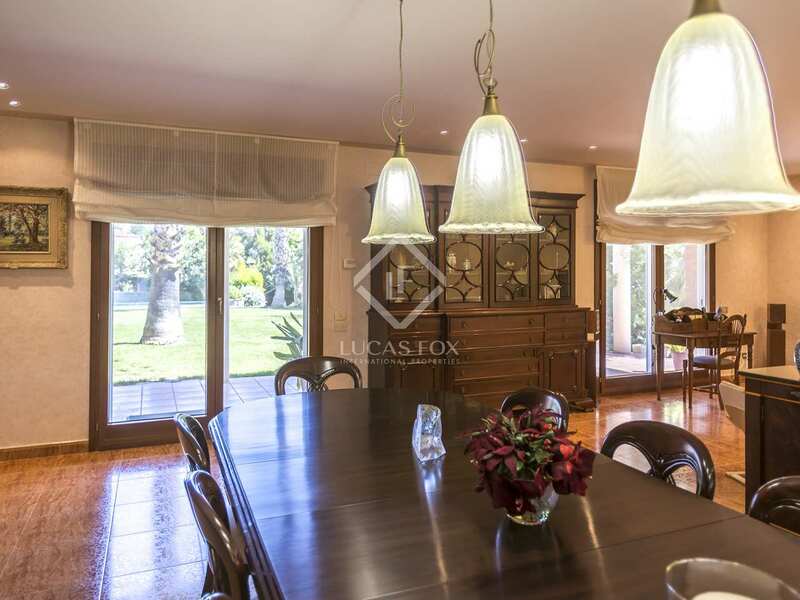 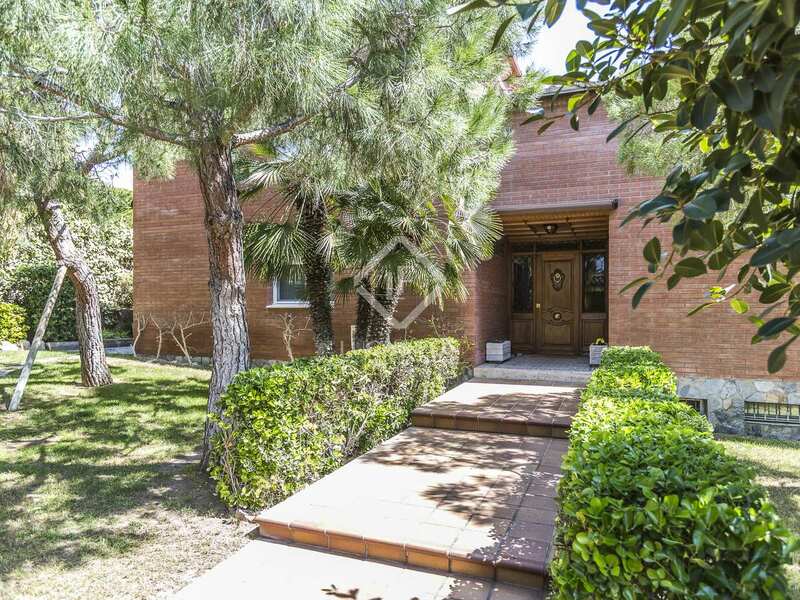 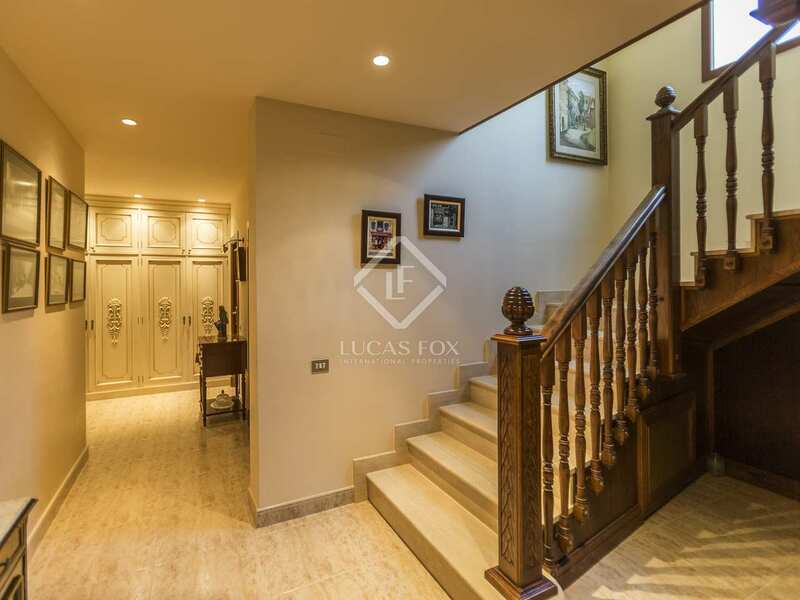 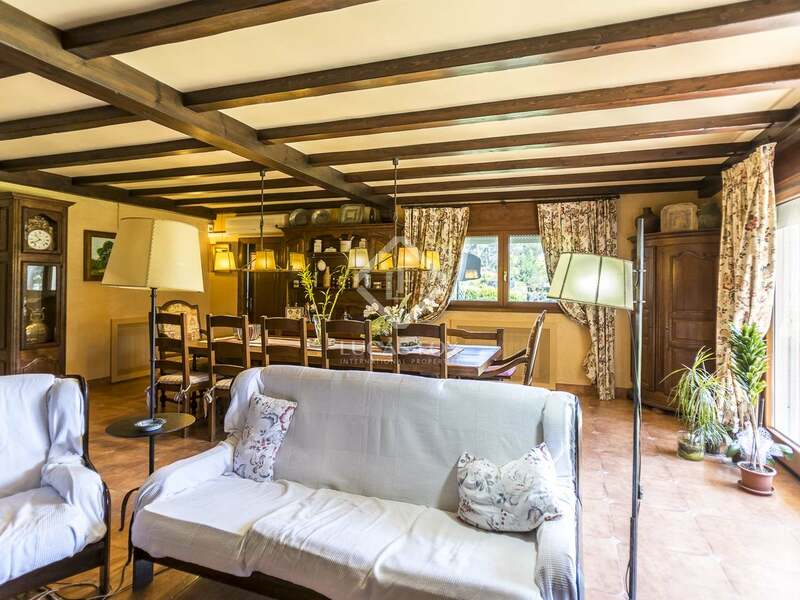 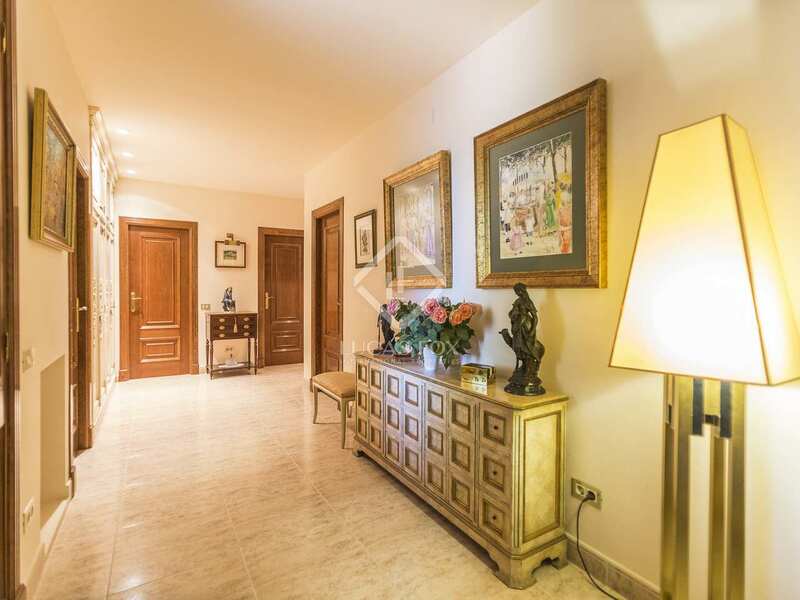 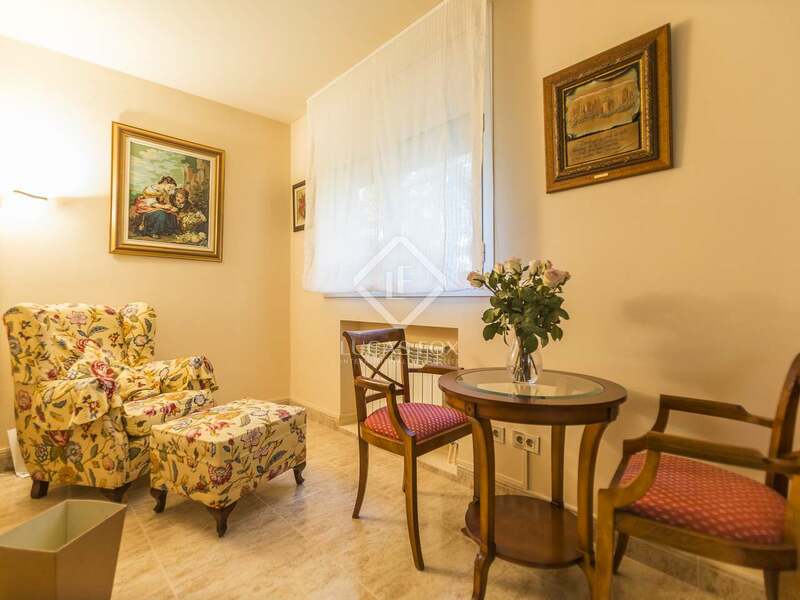 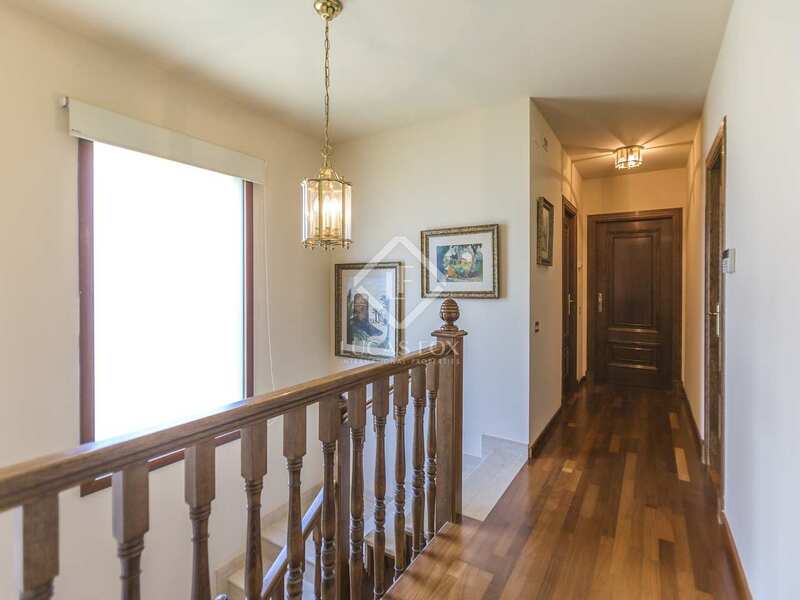 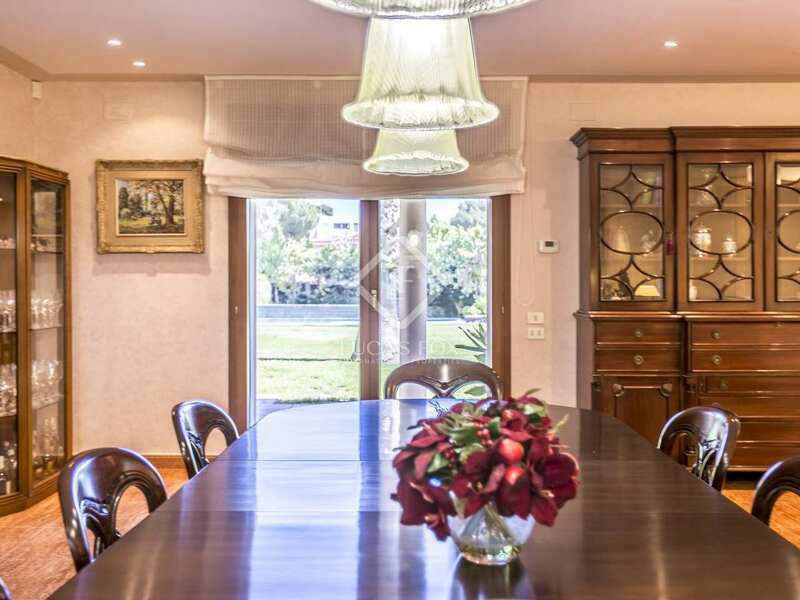 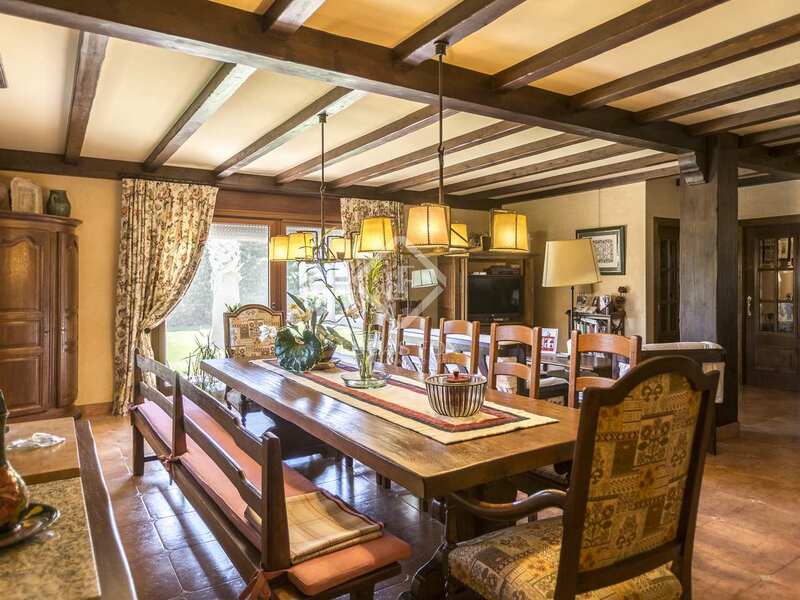 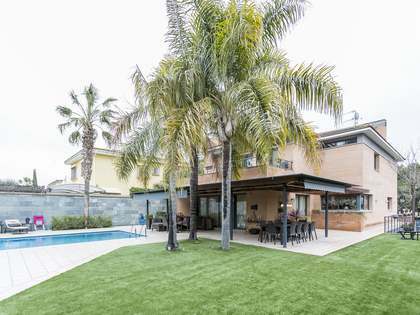 Beautiful Mediterranean style villa located in the high-end Aragai-Tenis residential complex, close to the centre of Vilanova I la Geltrú with all of its amenities and a sports club.